The overdriven pads of ‘Quiet Joys’ blast into life on this latest album from Prautzsch, as a heartbeat rhythm section thumps amongst a fluttering array of piano and electronica; cascading amongst reverberated cymbals and drones. In contrast, ‘Knife Dance’ concentrates on Jazz percussion and harmonic accompaniments; and whilst make little impact on the listener, set up the subtle programming of ‘Unfold Fully’; which breathes through a sea of well placed pads. PP never overstates himself on his latest release. Everything plods along at a serene and welcoming pace; from the darker atmospherics of ‘The Barbarians, to the IDM-ism’s of ‘Victorian Dove’, blending analogue and electronic sounds like a well baked cake. The off kilter soundtrack elements of some of the tracks gel the 11 song album together into one cohesive story. Dipping his toes into a cross section of commercial and obscure pattern display, keeps the listener on edge as things delve into peculiar territories; adding the element of surprise when things start to border on the ponderous. 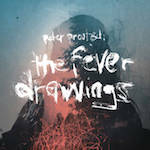 ‘The Fever Drawings’ is a clever display of musicianship as a whole; but feels a little overworked in places when Prautzsch forces his skills home. However, all in all this is an enjoyable release; and quite remarkable once it gets to the point. This entry was posted in Dense Promotion, Palacmusic. Bookmark the permalink.